It’s been five weeks of fun watching Caribbean Gardens and Market come alive at night: the sizzle of food trucks, the glow of light shows and the bustle of families scrambling from one activity to the next. We’ve loved seeing everyone from all ages enjoy the festivities and experience our iconic grounds in a whole new light! As part of our 50th birthday celebrations, the festival ran over five Saturdays from the 6th February. 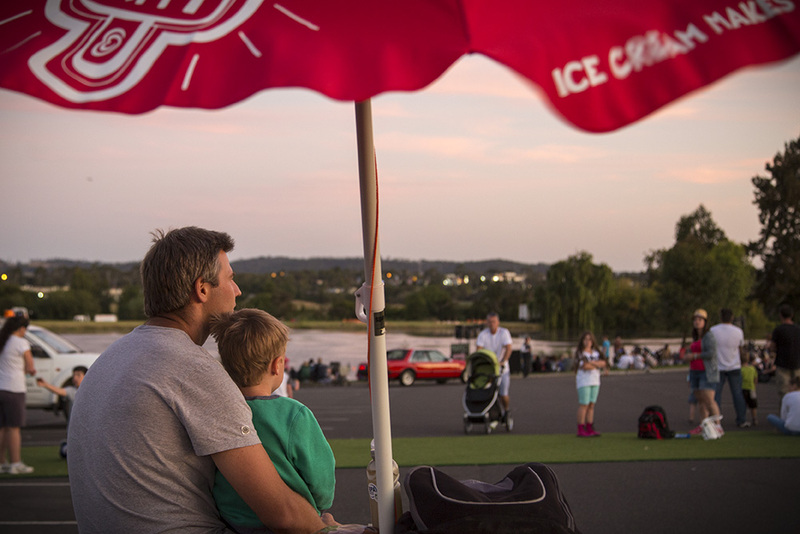 We hope it’s given the local community a chance to discover the urban and growing trend of food trucks as well as street entertainers, live music, water skiers and a one-time-only spectacular holographic light show at Caribbean Lake. For us, it has also been a time to reflect on the memories over the past 50 years – our stallholder community and the families who have passed our gates and found something special. If you came along, we’d love to hear feedback about your Twilight at Caribbean experience: head here to share your thoughts. And since it’s the community’s market, we also want your say on future events so click here to send through any thoughts and ideas! Thank you for an amazing Twilight at Caribbean festival. We hope to see you soon!